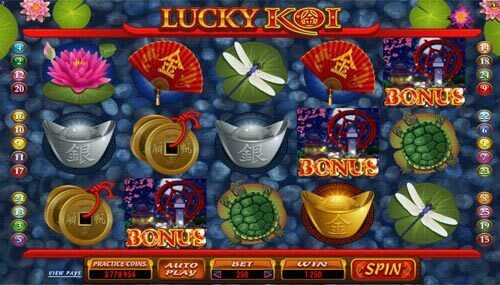 Tranquil, money-making and highly enticing… Lucky Koi Slots Machine is a new game by Microgaming that welcomes you to relish your free time and find peace in your heart. Moreover, there is a no download version to make things easier for you. So, you can keep sitting in your armchair and enjoy the magnificence of Asia. Sounds really great. Bring an exotic flair to your life and revel in the quietness of the Japanese garden pond playing this 5 reel and 25 payline slot. 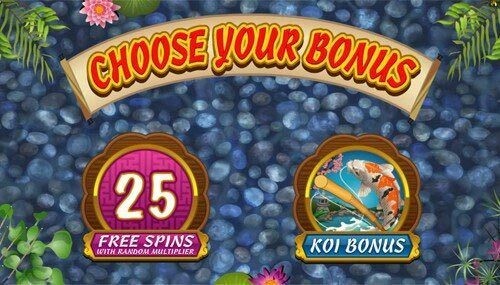 Here you can find not only peace, but also 30 Free Spins, 1,250,000 coins or nice cash prizes in Koi Bonus Game. Yeah! It’s a true gambling paradise that is created for relaxing moments of life. Try and enjoy it! Everybody knows that you need to leave a coin in the pond to come back here. Thus, you can easily do it if you wish. Yep. 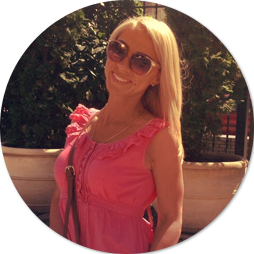 Moreover, placing a real coin, you get not only the guarantee that you will come back here at least one more time, but also win some cash online. Yeah! So, all left to do is to choose a suitable coin to toss in the reel pond. You are free to use any coin value that ranges from $0.01 and up to $0.10. 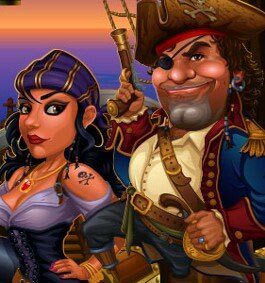 But you can recover your poise and also win the largest prizes only if you bet 10 coins per line to place the highest stake of $25 per spin. Just venture to play the max stake and catch 5 Carps or 5 Lucky Koi Logos on the payline to seize the top jackpot of 10,000 coins or $1,000. The prize is worth the risk. However, the last word belongs to you only. Lucky Koi Logo is a wild symbol here. 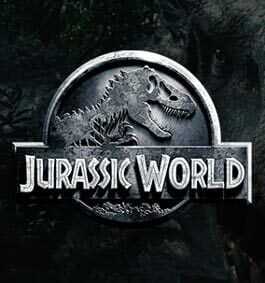 Only Logo can replace other symbols, but the scatter, and build more winning combos. So, watch out the wild in the reel water to make your bank balance bigger. Moreover, 5 such Logos and you’re richer by $1,000. It’ll make you happier. Definitely. 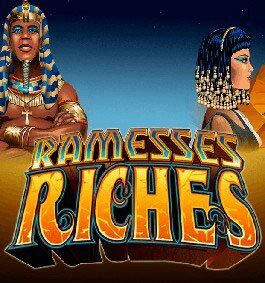 Free Spins or Bonus Game? What will you choose? Pick the first and get a chance to WIN BIG for free or… Get enjoyable moments when go fishing for cash choosing the second variant. Play to your heart’s content and revel in every moment of your gambling in the Japanese style. The pond is beautiful and also it is full of money-making creations. Yeah! Wish to go fishing? 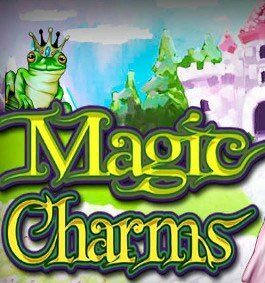 You can get it in case you choose Koi Bonus Game instead of Free Games. Here you need to pick between 3 to 6 Koi fishes that are rowing in the pond. Just choose one carp to grab and reveal your cash prize. 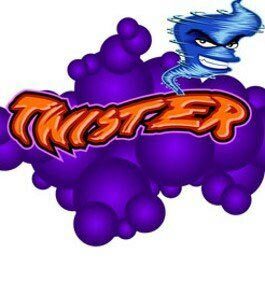 Make your choice wisely to get the largest scoop that can be compared only with a win you can get playing Wild Catch slot. 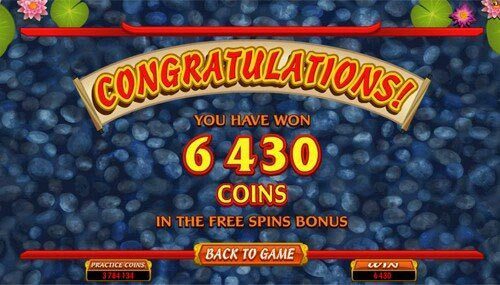 Strike it lucky to win more! 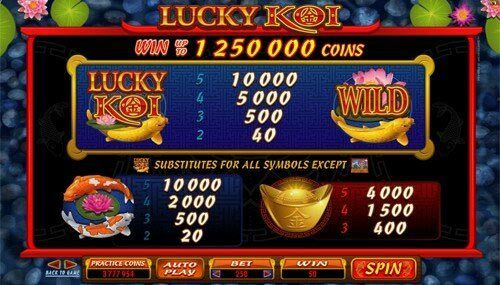 Savour the allure of Asia and fill your pockets with gold coins playing Lucky Koi slot. Make a trip to reel Japan thru your mobile device to pursuit the fortune and relish the tranquility of the garden pond full of bonus features and cash wins! Both iOS, Windows, Android and BlackBerry gadgets can open the way to HTML5 world for you.